One of the most popular fish and sea food restaurants in Jerusalem, Dolphin Yam (translated as Sea Dolphin) attracts locals, Israelis that come especially from the rest of the country and tourists. The restaurant has been mainstay in the city for over 45 years in large part thanks to its the professional chefs, great customer service, affordable prices and outstanding cuisine. The restaurant may be most famous for its fresh fish and superlative seafood but its other specialties include an extensive selection of meat, pasta, vegetarian dishes and kids meals. The menu combines local flavors and uses carefully selected fresh and seasonal ingredients. If you go to dinner or lunch hungry (we recommend it, actually), getting the generous seafood (250 NIS) or meat (270 NIS) platter for 2 is definitely a must. The seafood platter is a smorgasbord of calamari, shrimps, 2 types of crab, scallops and mussels, and with the meat platter you get rib-eye skewers, lamb chops, beef fillet medallions and 4 Middle Eastern lamb kebabs with the option to add some foie gras for just 25 NIS. And if you’re dining party is more than 2 people, don’t worry. You can add an additional portion to your platter starting at 125 NIS per diner. Dolphin Yam is set in a preserved Jerusalem building on Ben Shetach Street in downtown Jerusalem and maintains an authentic local atmosphere. The restaurant has a gallery floor that can hold up to 65 diners and is perfect for birthdays, weddings, anniversaries, business meals, and other events. Please show your coupon code at the restaurant. On our first night in Jerusalem, Dolphin Yam was recommended to us by our hotel concierge. It did not disappoint! Everyone from the hostess to the wait staff (we were served by several different people, including a trainee who did a great job) were very friendly and helpful. They start you off with warm bread (we were there two days before Passover) with several (I think 8) different dipping sides. Excellent way to sample different foods. On the recommendation of one of our servers I had the grilled lavrak (sea bass) filet for my entree. I skipped the sauce and with a little drizzle of lemon, it may have been the best sea bass I have ever had. All in all a wonderful experience. 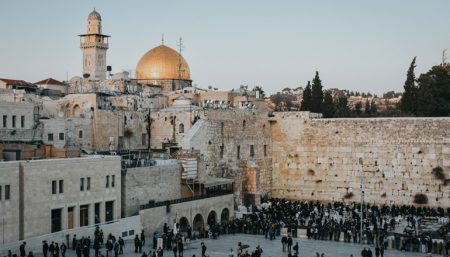 My husband and I visited Jerusalem in April 2019. Rather than book a restaurant through our hotel, we decided to wander a bit, and came upon the Dolphin restaurant. We were greated by a wonderful waiter "Ran", and promptly seated on their outdoor patio. Then the fabulous "salads" arrived, followed by the best sea bass (lavrak) that I've ever tasted! All in all a wonderful night. Great meal, and a fantastic waiter Ran, who answered all our questions about modern day Jerusalem. The dips and fresh bread to start with were delicious and set the bar high for the rest of the meal. Unfortunately, it didn't live up and while the food wasn't bad, it wasn't anything spectacular either.